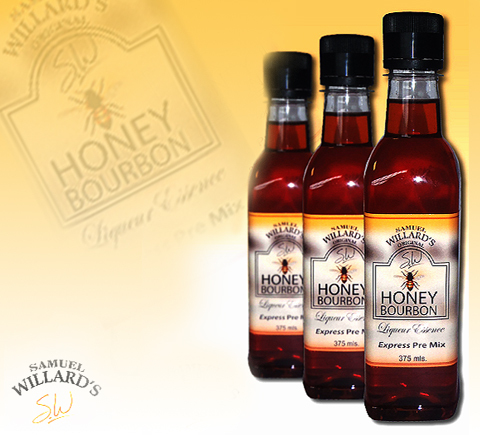 Using the finest grain and oak barrel flavours, when you blend this exceptional Honey Bourbon Premix with fresh honey, the smooth flavour cannot be resisted. This fine liqueur is ideally served poured over a few ice blocks or with your favourite mixer. Samuel Willard’s Honey Bourbon premix base produces 1125mL of spirit from each 375mL bottle.